Part two of this weeks four part Truffle journey. This is the simplest of the four, the base of the recipe. I used regular Oreo cookies this time, but you could easily use the chocolate filled Oreos to make these even chocolatier ... or ... chocolate-y-er. Is that a word? Oh well, you can never have too much chocolate! Enjoy! In a blender or food processor, crush the Oreo cookies into a fine powder and transfer to a large mixing bowl. Soften the cream cheese in the microwave for 45 seconds. Stir into the Oreo cookies until a thick batter is formed. Divide the batter into three sections. Transfer into separate mixing bowls. Set the other two sections aside (they will be used for different flavor truffles). Using your hands, roll the batter into small, 1" diameter balls and place onto parchment paper. This will be the inside of the truffles. Place the chocolate chips into a bowl. Microwave on high heat for 30 seconds, stir and heat again until the chocolate is melted in 30 second increments. Do not overheat the chocolate. Using a spoon, dip each truffle into the chocolate and place back onto the parchment paper. Sprinkle with desired decorations before the chocolate sets. 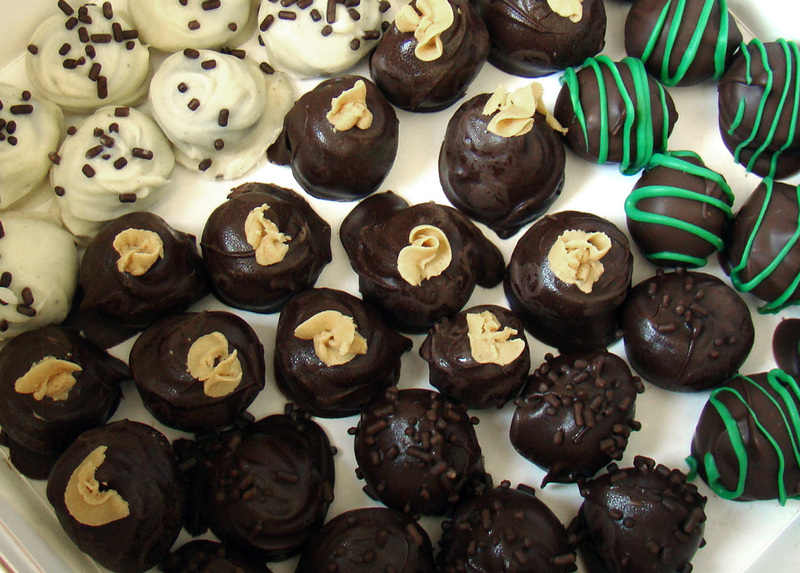 When all the truffles are coated and decorated, place them in the freezer for 5 minutes to set the chocolate. Remove and serve. I'm making these with the girls I nanny today! We can't wait. 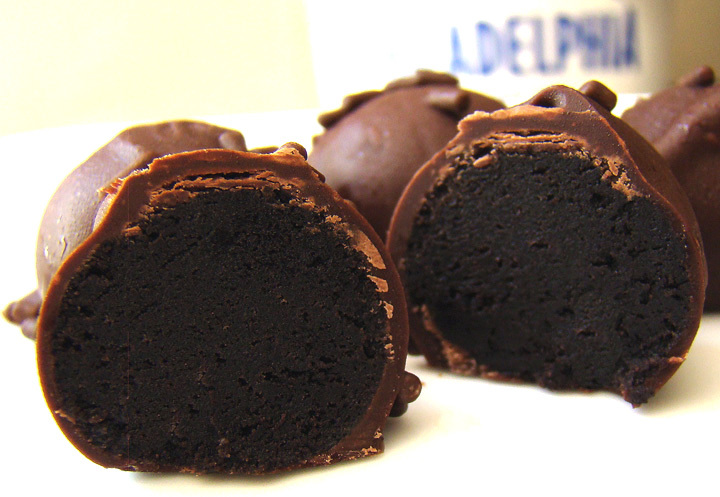 We are taking your suggestion and using chocolate Oreos for a super chocolate treat :-) YAY! 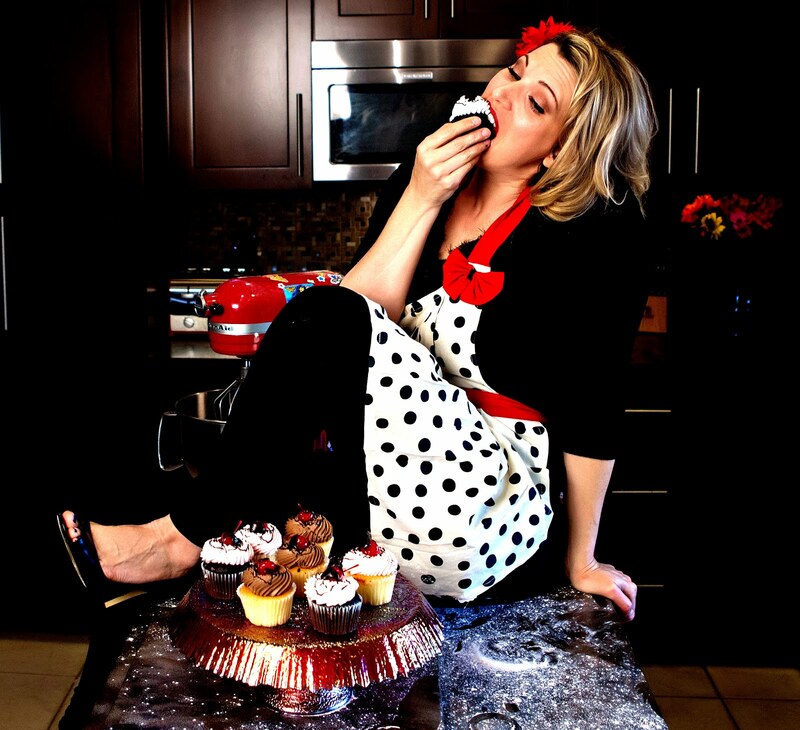 Yummy Paula! Let me know how they turn out!